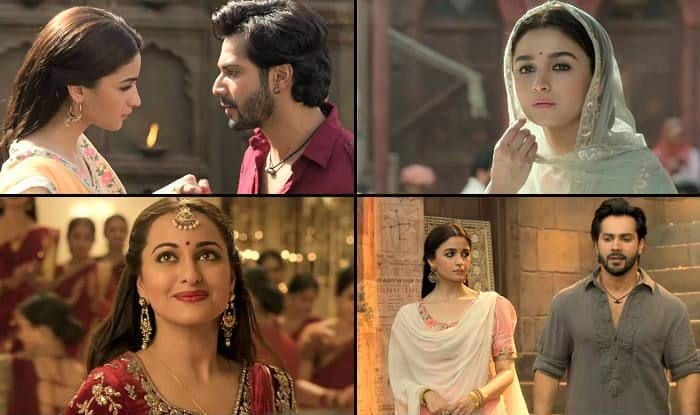 Here's the much-awaited title track of Kalank, featuring Varun Dhawan-Alia Bhatt, Sonakshi Sinha-Aditya Roy Kapur and Madhuri Dixit-Sanjay Dutt with the voice of Arijit Singh in the background. 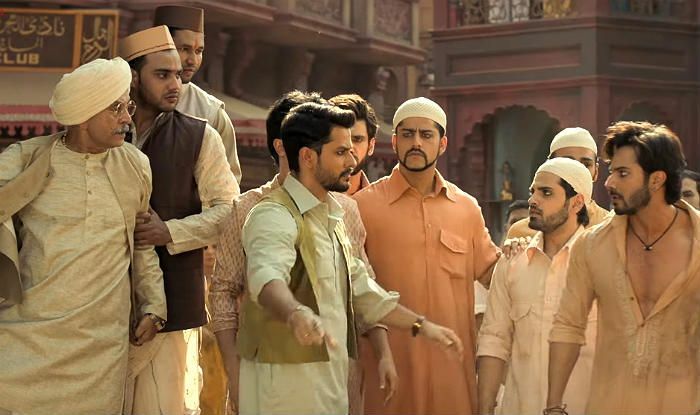 The makers of Kalank have released the much-awaited title song of the film. Like other stunning tracks from the period drama, this one also features larger-than-life visuals and beautiful chemistry between its characters. The video begins with Varun Dhawan and Alia Bhatt, who play Zafar and Roop, respectively, falling for each other in silent moments. It also has visuals of Zafar and Satya (Sonakshi Sinha‘s character) celebrating their respective festivals. The highlight of the video, however, remains Varun’s dialogue, that, in fact, opens the song: “Barbaad Ho Jaogi, Dard Ke Alawa Kuch Nahi De Sakta Main Tumhe“. This also hints at the dynamics of his relationship with Roop, in which both are falling for each other despite knowing about the fate of their bond. Kalank, produced by Sajid Nadiadwala and Karan Johar together, is slated to hit the screens on April 17. The film is set in the 40s during the time of India-Pakistan partition. Earlier, the trailer of the film received positive reviews from the audience, adding more excitement to the already hyped buzz.